The spacecraft Hayabusa2's first touchdown onto the asteroid Ryugu is scheduled for this week. If successful, the craft will shoot a bullet into the rock in order to capture samples to bring back to Earth. The Japan Aerospace Exploration Agency (JAXA) is in the midst of preparing for the probe’s touchdown, and has recreated the asteroid and bullet here on Earth in order to practice, according to a press release. This followed a delay to the planned touchdown, after scientists realised that the asteroid’s composition differed from their expectations. Japanese scientists expected to find a “powdery regolith” on the asteroid, according to the release. But when the MASCOT and MINERVA-II1 rovers dropped by Hayabusa2 prowled the surface, they found that it was actually covered in centimetre-sized gravel bits. 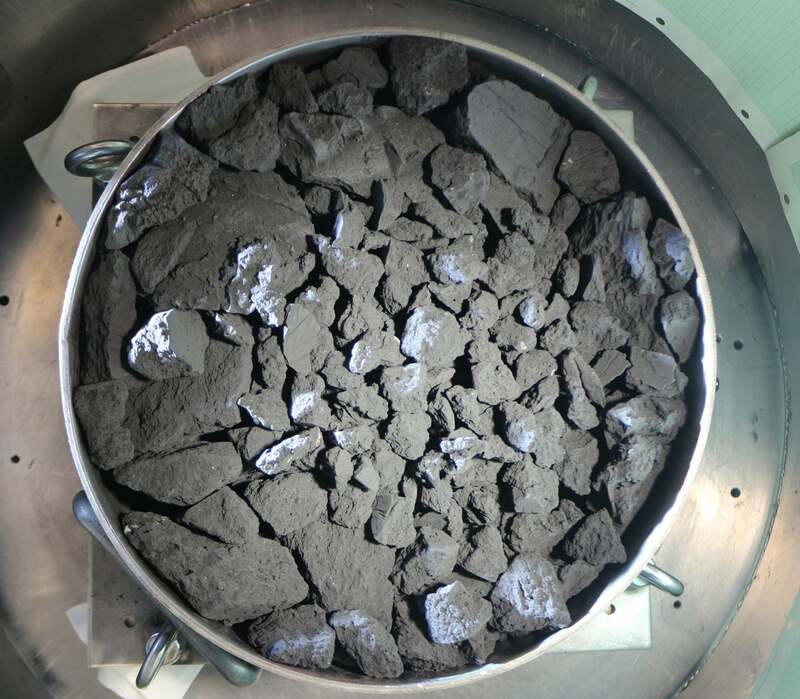 The team delayed the probe’s touchdown in order to ensure that their collection mechanism would still work on the larger grit. The researchers’ tests involved shooting a similar 5-gram bullet made from the element tantalum into a pile of gravel in a vacuum chamber at 300 metres per second. Fortunately, these tests revealed that the bullet would break up and release enough material of the right size for Hayabusa2 to gather samples. The JAXA release notes that the team performed the tests under Earth gravity, and that even more rock would be released in the microgravity conditions of the asteroid. Hayabusa2 launched in 2014 to rendezvous with and collect samples form the asteroid Ryugu. It succeeds the troubled, but ultimately successful Hayabusa mission, and joins NASA’s OSIRIS-REx as one of two missions currently exploring asteroids up-close. If successful, Hayabusa2 will take three samples from Ryugu’s surface and return them in a capsule to Earth in December 2020.